To support our mission, Fabretto has established legally incorporated non-profit organizations: Asociación Familia Padre Fabretto in Nicaragua, Fabretto Children’s Foundation in the United States of America, Fundación Fabretto in Spain, and the UK Charitable Trust in the United Kingdom. All offices in the United States and Europe focus their efforts on fundraising for Fabretto education programs executed in Nicaragua. In addition to those named below, Fabretto’s team includes many teachers, tutors, and support staff who dedicate themselves each day to work for a better future for the children in our Centers and throughout Nicaragua. Kevin has played an integral role in Fabretto’s evolution and development from his first visit to Nicaragua in 1989 as a Georgetown volunteer to his current role as Chief Excutive Officer (CEO). He remains deeply committed to the meaningful relationships that Fabretto has cultivated over the past 60 years in communities throughout Nicaragua. 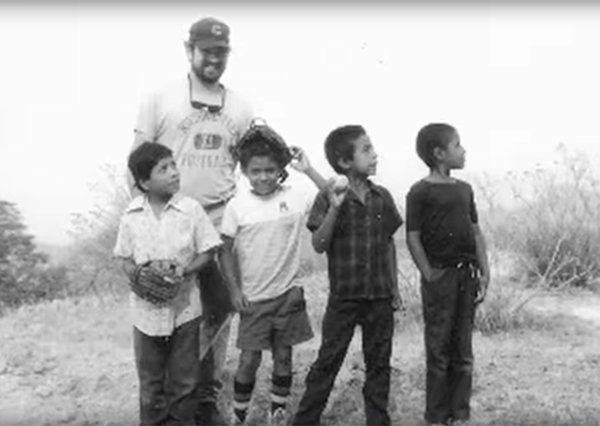 After Father Fabretto’s untimely death in 1990, Kevin assumed a leadership role in continuing the legacy of Father Fabretto’s lifetime of service to the poorest children in Nicaragua. Under his guidance, Fabretto has grown from group homes serving fewer than 300 children to an established organization that impacts over 20,000 children in Education Centers and schools throughout Nicaragua. As CEO of Fabretto, Kevin works to expand Fabretto’s reach both internally and externally. From his home base in Managua, Kevin orients all programs toward Fabretto’s mission and develops new initiatives in collaboration with the program staff. In addition, he shares Fabretto’s story with friends and supporters that can help Fabretto continue to provide hope for children in Nicaragua. Kevin earned a B.A. from Georgetown University in 1989 and an MBA from the Kellogg Business School in 1996. 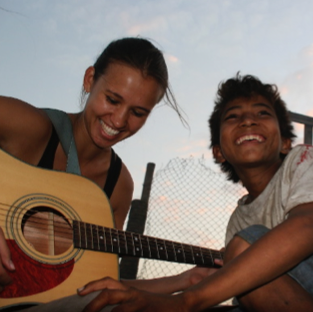 In 2009, Anina committed to a year of service coordinating education programs in Nicaragua. She decided to stay on in country, and years later, she is proud to be a part of the Fabretto Family and continue working for quality education for all children in Nicaragua. As Deputy Director of Programs, Anina coordinates with the VP/Director of Programs to manage Fabretto’s diverse range of education and development initiatives. She works closely with the education coordinators and M&E team to develop innovative educational programs, plan and monitor activities, and evaluate program impact. Prior to her current role, Anina worked as Special Projects Officer and Communications Associate for Fabretto. Anina was born and raised in Portland, Maine, USA. She holds an Ed.M. in International Education Policy from Harvard University, an M.Ed. in Teaching from Framingham State University, and a B.A. from Barnard College. When Alicia was presented with the opportunity to join the Fabretto team in Spain, she did not hesitate. She believes Fabretto is without a doubt an organization that stays close to the people it supports and directly impacts its beneficiaries. 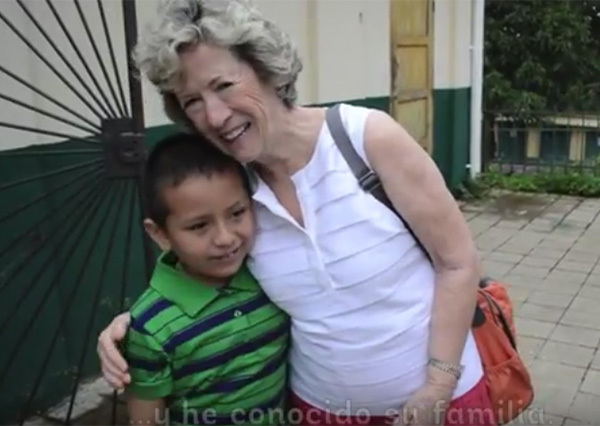 During her last trip to Nicaragua, Alicia met a SAT student who really surprised her. He had created his own cooperative with a friend and was developing a business initiative to sell coffee in his community. A year later he was granted a university scholarship. Thanks to Fabretto’s secondary school program, this student was given a unique opportunity to improve his future. Read his story here. 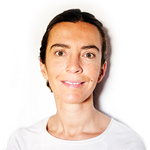 As Director of Fabretto in Spain, Alicia coordinates all Fabretto activities in Spain and strengthens Fabretto’s largest European base of supporters.She holds a Masters in European Affairs from the College of Europe and an undergraduate degree in Law. Before joining Fabretto’s leadership team, Alicia worked as Development Officer for the Club of Madrid, which works to strengthen democracy and respond to political crises and conflict situations. Location: Fabretto Children’s Foundation (United States). After graduating from Radford University with a degree in Psychology, Chrissy moved on to a full-time position working for a dance company in Arlington, Virginia. She joined the Fabretto team in July 2012 as a Development Associate and became Director of Events in July of 2013. Chrissy organizes all Fabretto events taking place in Washington DC, New York City, Chicago, Miami, Houston and San Francisco. She enjoys interacting with volunteers and donors to collaborate on events. Chrissy visited Nicaragua in November of 2013 and was completely taken by the work Fabretto was accomplishing on ground. She is proud to work toward a cause she believes in and for the children. Silvia visited Nicaragua in March of 2015 to learn about Fabretto’s work with education and to meet the students who benefit from the programs. She has worked in international development for many years and has traveled to different third world countries, but Nicaragua is one of the countries that has impacted her the most. She witnessed the difficulties that many children face by living in the arid, mountainous regions of northern Nicaragua. She is constantly struck by how, despite their struggles, these children face life with excitement, hope, and resilience. They wish to get ahead in life, and their right to education is the key to achieving it. Silvia’s professional experience and volunteer work in different Latin American countries fits right in with the work that Fabretto is doing in Nicaragua. She holds an undergraduate Law degree from the University of Navarra and a masters degree in International Development from the Universidad Complutense de Madrid. She has dedicated her professional career to social development and aid. 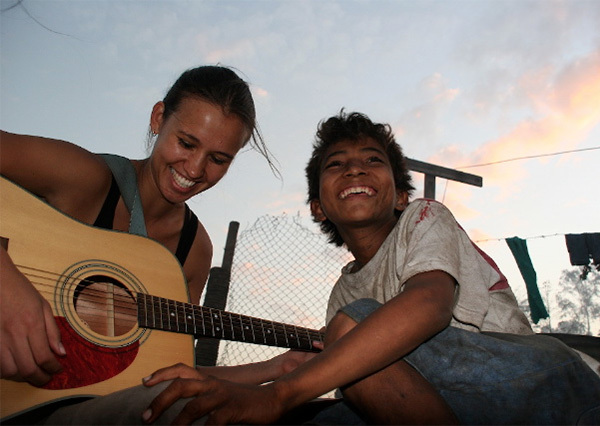 She has worked in different NGOs, in Asia and Latin America, as well as Spain. 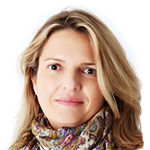 Silvia is responsible for fundraising, developing institutional relationships, and communications. She works out of Fundacion Fabretto’s office in Madrid. Marcia Gómez is a teacher by profession and by vocation, with vast experience in social development and education projects. She has contributed to the integral development of Nicaraguan children and youth for more than 20 years. Marcia has actively collaborated in the execution of educational projects that promote effective participation in training processes focused on the improvement of attitudes, values, ​​and abilities that enable youth to integrate productively into society. Marcia has worked at Fabretto for the past 11 years, coordinating the Rural Secondary Education Program, SAT, which is aimed at reclaiming the educational status of rural youth by combining learning and doing, further creating opportunities for the youth to improve their living conditions. In 2017 she was appointed Coordinator of Technical Education. Marcia’s work history includes diverse experiences as a teacher, pedagogical adviser of primary education, contributor in the formulation of educational materials, school director, among others. Marcia graduated from the National Autonomous University of Nicaragua (UNAN) in Educational Sciences with an emphasis in Hispanic Language and Literature. She also holds a postgraduate degree from Centro Universitario de Bienestar Rural in Cali, Colombia, as a specialist in Education and Social Development. Bill has spent his entire career as a lower-middle market private equity investor. From 1997 -2013 he was a Founding Principal of Prospect Partners, LLC of Chicago, which manages three funds totaling $400 million. Previously, from 1990-1997 he was a partner at Chicago-based LaSalle Capital Group. He started his career from 1983-1989 at Golder, Thoma & Cressey (now GTCR, Inc.). He is a former Chairman and board member of numerous private companies and is currently a personal investor and director of other private companies including Auto Driveaway Franchise Systems, LLC, United Skylights, LLC, Rainbo Sports & Skating, LLC, Atticus Brand Partners, LLC, Main Street Gourmet, LLC. and Wild Hare Music, LLC. Bill is originally from St. Louis, Missouri and resides in Winnetka, IL with his wife Carolyn Moses Glastris, who is originally from Fargo, North Dakota. The couple met in 1979 at Northwestern University. They have three daughters in various stages of college and graduate school (Georgia, Carina and Celia) a beach house in Redonda Bay, Nicaragua and greatly enjoy international travel with family and friends. Bill received a B.A. from Northwestern University and an MBA from Northwestern University’s Kellogg School of Management. Bill has served on the Fabretto board since 2011 and as Chairman since 2013. Carl Marinacci spent a 35 year career working in human resources at AMOCO corporation, retiring in 1999. He served in a variety of positions, including Vice President, Compensation & Benefits and Vice President of Human Resources for AMOCO’s refining and marketing company. 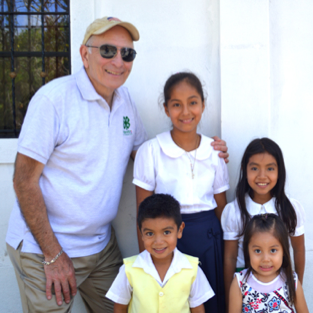 Carl is the founder of Fabretto Children’s Foundation, serving as a member of the Fabretto’s Children Foundation Board of Directors since its inception in 1993, and as Chair from 1999 – 2010; he is now the Chairman Emeritus. Carl is a graduate of Johns Hopkins University and the University of Chicago. He has served on the board of the Midtown Education Foundation in Chicago and on the Evanston Human Relations Commission. Carl resides in Evanston, Illinois with his wife, Barbara Phelan. Ian Knox is the vice president of marketing for Daptiv and responsible for all aspects of global marketing strategy, demand generation, and product management. Ian has a 15 year track record in both emerging and Fortune 500 companies of growing technology businesses through strategic leadership and disciplined execution. Ian joined Daptiv from Skytap, a cloud computing start up, where he led its marketing efforts and was responsible for launching the company. Prior to Skytap, Ian was group product manager for Visual Studio at the Microsoft Corporation. In this role, Ian led the product management team responsible for building a new $400M enterprise developer tools business. Prior to Microsoft, Ian was a principal consultant at PricewaterhouseCoopers where he worked on global software delivery projects for Fortune 500 clients. Ian holds a B.Sc. honors degree in computer science from the University of Nottingham and an M.B.A from the Kellogg School of Management at Northwestern University. Born in the UK, Sammy originally worked in Fashion and Marketing in Asia, before moving to the USA. Whilst pursing Photography in NYC, she became involved in philanthropic causes. She joined the Fabretto Board of Directors in 2015, after supporting the organization for a number of years, and having sponsored numerous Fabretto children. Sammy is focused on advocacy through documentary film, resulting in a partnership with Bykids.org and Fabretto to produce a film which highlights the plight of Nicaraguan coffee farmers in Cusmapa. Sammy has two sons and currently lives in NYC, where she also serves as President of the Board of Directors at Spence- Chapin Adoption Agency. Deanna Ford is the Director of Evidence for Policy Design at Harvard Kennedy School, where she leads the management of program operations, partner engagement and capacity-building initiatives. Her work focuses on initiatives and strategies for increasing the use of empirical evidence in the design of public policy and development programs. Deanna spent two years at the International Monetary Fund and has also worked for the World Bank, the Asian Development Bank, Innovations for Poverty Action and the Center for Research on Children in the U.S. in various projects in economic research and evaluation of social programs. Deanna first came down to Nicaragua with Agora Partnerships, working to evaluate the viability of small-scale business venture opportunities and advise Nicaraguan entrepreneurs in business plan development and marketing strategies. Deanna founded the Nica HOPE Project of Fabretto, now part of the San Francisco center, in 2008 and directed project activities for two years in Managua. She has continued to remain very involved with Fabretto, both on the ground in Nicaragua and in engagement with supporters in the U.S. Deanna completed her Master of Public Policy at Georgetown University and her BA in economics at Princeton University. 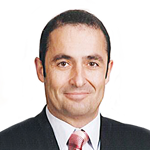 Kevin Marinacci is the current CEO of Fabretto. Kevin has played an integral role in Fabretto’s evolution and development from his first visit to Nicaragua in 1989 as a Georgetown volunteer to his current role as CEO. He remains deeply committed to the meaningful relationships that Fabretto has cultivated over the past 60 years in communities throughout Nicaragua. 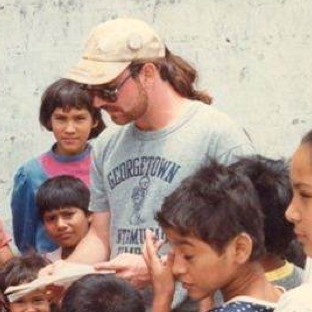 After Father Fabretto’s untimely death in 1990, Kevin assumed a leadership role in continuing the legacy of Father Fabretto’s lifetime of service to the poorest children in Nicaragua. Under his guidance, Fabretto has grown from group homes serving fewer than 300 children to an established organization that impacts over 12,000 children in Education Centers and schools throughout Nicaragua. Patricia has supported Fabretto’s mission since the early 1990’s as a volunteer, staff member, and member of the Board of Directors. 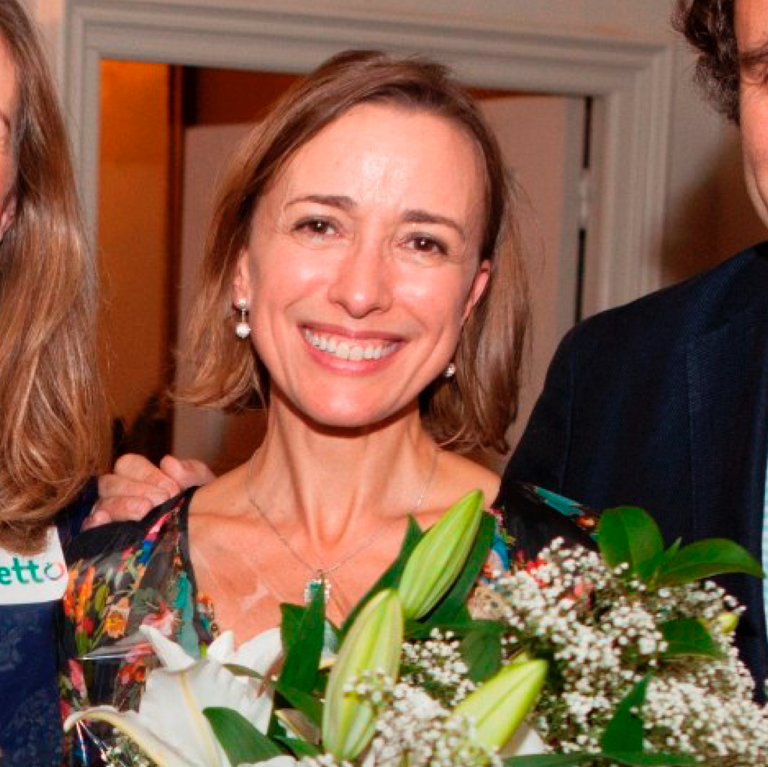 In 2002, Patricia relocated to Spain to establish Fabretto in Europe, first founding Fabretto Spain (“Fundación Fabretto”) in 2003 and then Fabretto UK in 2012. served as both Fabretto Spain’s Executive Director and President of its Board of Directors. Under her leadership, Fabretto today has a solid presence and growing network of supporters in Europe. After 10 years, Patricia spearheaded the solid transition to Fabretto Spain’s new staff. She has stayed involved as President Emeritus of the Board in Spain and as a Trustee for Fabretto UK. Prior to joining Fabretto, Patricia worked for six years as an attorney, primarily with Cleary, Gottlieb, Steen & Hamilton on transactions involving Latin America public and private sector clients and as co-general counsel and business development director for a fast-growing start-up acquired by Critical Path. 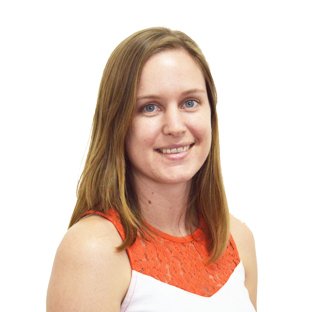 She has also worked on community truth-and reconciliation projects in East Timor, Sierra Leone and South Africa. Patricia holds a B.A. from Georgetown University, a law degree from Columbia Law School, and diplomas in humanitarian and development aid and not-for-profit management from universities in the US, Spain and Switzerland, including the Center for International Health & Cooperation, Columbia Business School and I.E.S.E. Michael Callahan is a Managing Director of Man Group, a global leader in alternative asset management. Since joining Man in 2011, he has been involved in new business development and product management, as well as servicing existing client relationships. Prior to joining Man Investments, Michael was a Vice President at Blackstone Alternative Asset Management, Blackstone’s Hedge Fund Solutions Group. Before Blackstone, he was a Principal at Great Horn Capital, a convertible arbitrage hedge fund. Prior to that, he worked at Morgan Stanley and Prudential Securities in institutional research, sales and trading. Michael received a Bachelor of Arts degree from Georgetown University in 1998. He is an active member of both the Economic Club of Chicago and the Chicago Commonwealth Club. He currently serves on the board of NextStep Fitness and Fabretto Children’s Foundation. Tom Gleason is the founder of Gleason Woodwork, considered one of the top ultra high‐end residential cabinet and millwork shops in the Chicago area. 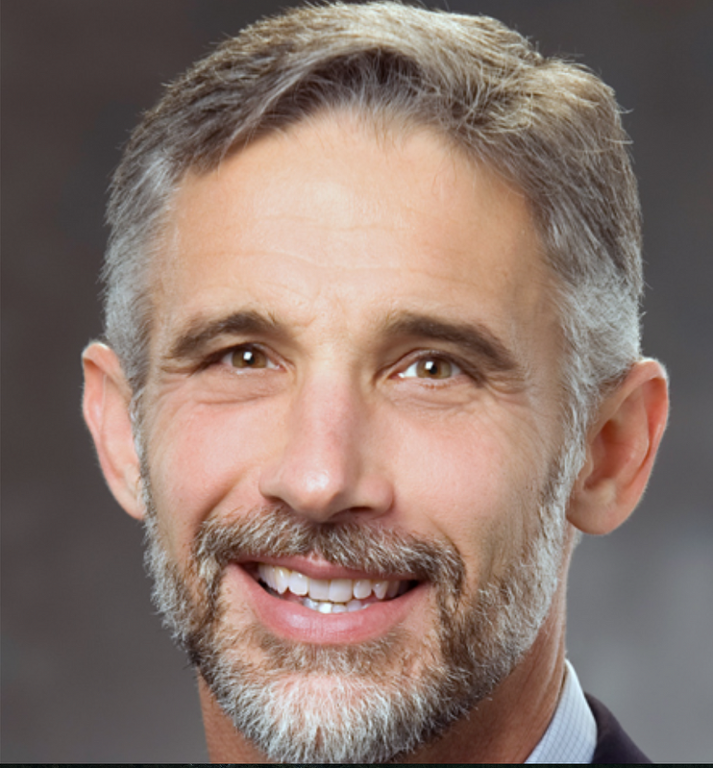 Tom is active both locally and nationally in the Architectural Woodwork Institute having served as Chicago Chapter President and nationally as Chairman of the Audit Committee. For 18 years he has been a jurist for the annual woodworking competition of a national woodworking publisher. Tom with Glenda, his wife of 27 years, helped found a Youth Group in 2000 at Old St. Patrick’s Church west of Chicago’s Loop. The Youth Group chose Fabretto for its first service trip. It was also Fabretto’s first service group. Their son, Bryan, was on that first trip and daughter, Meredith, four years later. 2010 was the 12th Service Trip for Old St. Patrick’s to Fabretto in Nicaragua. In 2005 Tom combined his woodworking knowledge with his love for Fabretto, guiding their nascent carpentry program in Cusmapa. He was honored by Fabretto in 2007 as their Volunteer of the Year. That same year he was appointed to the FCF Advisory Board. Tom has served as a member of the Board of Directors since 2010. Jeff Mullen graduated from Georgetown University in 1991 and from Georgetown University Law School in 1995. Jeff worked at Simpson Thatcher & Bartlett, LLP as a corporate attorney from 1995-2000 before joining Goldman Sachs & Co., where he is currently a Managing Director in the Investment Management Division. Jeff is involved in several charitable organizations. He is the Co-Chair of the Young Leadership Committee of the Inner-City Scholarship Fund in New York and a member of the Boards of Encore Community Services and Help Me See. Friends and colleagues know George as a man of superior analytical ability, intelligence and thoroughness. He is regarded for his integrity, but appreciated most for his incessant sense of humor and tremendous generosity. 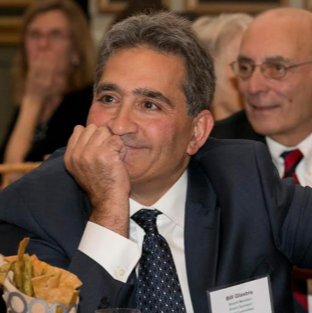 Following a long and successful career on wall street as an analyst, money manager, and Chief Investment Officer of Oppenheimer Capital, George became involved in Nicaragua. With that involvement came awareness of the tremendous impact Fabretto is having on the lives of Nicaragua’s children. Elected to the Fabretto Children’s Foundation’s Board of Directors in 2004, George is engaged in helping Fabretto continue to develop its capacity to help more of Nicaragua’s children in the coming years. Chris Mitchell, a Director at Prime Policy Group, joins the firm from its predecessor, BKSH & Associates Worldwide. Previously, Chris spent more than eight years working for members of Congress from the State of California. From 2001 through 2006, Chris worked for Congressman Michael Honda, including three and a half years as legislative director. As legislative director, Chris ensured that the Congressman’s legislative agenda and appropriations goals were effectively and strategically pursued. He also advised Congressman Honda on all matters before the House Transportation and Infrastructure Committee, of which Mr. Honda was then a member. In this capacity, Chris led Congressman Honda’s successful efforts to deploy cutting-edge security technologies at U.S. airports and to authorize and secure appropriations for a multi-billion dollar transit project in the San Francisco Bay Area. In addition, Chris has experience in advising members on technology, trade and foreign assistance issues before the U.S. Congress. Prior to joining Congressman Honda, Chris worked for Congresswoman Anna Eshoo (D-CA) in her Palo Alto district office, where he served as her principal local liaison to the high technology community. Mr. Mitchell most recently lived for two years in Nicaragua where he consulted for non-profit entities inside and outside the country. Chris holds a Bachelor’s degree from The George Washington University and a Master’s degree in philosophy from San Jose State University. 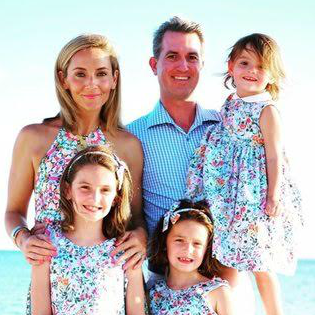 He resides in Washington, D.C. with his wife, Carrie, and three children. Throughout his career, Nick has led the strategy and implementation of integrated digital experiences that transform businesses. He specializes in the conception and evolution of large-scale, user-centered, digital initiatives that engage communities. 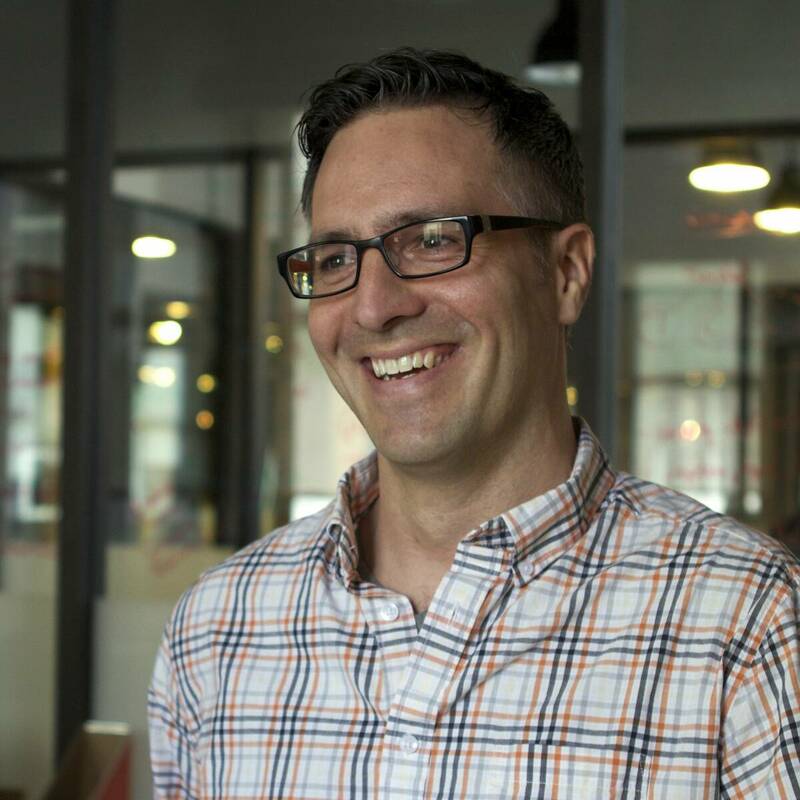 For ten years, Nick was a Group Creative Director and Experience Architect with Razorfish, where he held a key role on the leadership team, managing over 140 employees across a suite of Fortune 50 clients. In 2009, Nick was appointed the first-ever Creative Director for the White House under the Obama Administration. 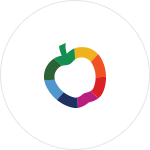 In 2013, Nick became a partner at Timshel, a social impact strategy and technology company, helping for-purpose organizations — including Fabretto — understand and articulate their values, express their mission as measurable human results, and develop their own strategic and tactical capacity. Currently, Nick holds a position as Group Design Director at Fjord, Chicago. Nick resides in the Chicago suburb of Highland Park with his wife Nikki and their two kids, Bea and Lucky. Darin’s corporate leadership experience includes serving in the roles of CEO and CPO (Chief People Officer). As CEO of a regional provider of sustainable decentralized wastewater solutions, he led the restructuring and consolidation of multiple companies under the brand Andenus Group. While CPO for Alterbrain N.V., he helped lead the roll-up of multiple companies into an e-consulting firm with locations in Mexico, Brazil, and Argentina. As a Managing Consultant with Hewitt Associates and as a Manager in Ernst & Young’s management consulting practice, Darin received significant experience and exposure to numerous leaders and business challenges across multiple industries, functions, and geographies. Academic training includes a Doctorate and a Master’s degree in Organizational Learning from the University of Pennsylvania, an MBA from Millsaps College, and a BS in Agriculture from Mississippi State University. He and his family live in Managua, Nicaragua. Personal time typically consists of any excuse to be on the water or in the mountains. Kevin's commitment to service has transformed countless lives in Nicaragua. Development Director, Kathy Baczko, tells us why it is so rewarding to sponsor a child. Meet board member Deanna Ford, founder of the NicaHOPE project in La Chureca.